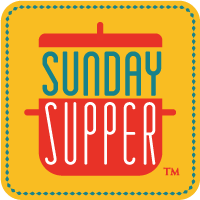 #SundaySupper is joining along with Andrew Wilder’s October #Unprocessed Challenge and giving you a huge menu of recipes to help you get those processed food out of your diet, or at least cut down a little. 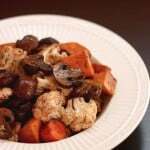 I decided to give you one of my family favorite vegetables in on of its simplest (and most delicious) forms. I could eat the entire batch of my Basic Roasted Cauliflower. I have to tell you, the timing for this week’s even is kind of hilarious for me. Now you all know I love to cook. I mean, duh, I have a food blog. But I do have my moments of using convenience foods, and I do also enjoy eating out. Sometimes it’s a fancy dinner, other times it’s just a good gluten free pizza, or maybe it’s just a really fabulous salad from our favorite local place. This week though, it was just too much. Our house went on the market a week and a half ago and just a couple days after that I headed down to Maryland for a weekend house hunting trip with The Hubby. That meant a few days of hotel breakfasts, granola bars on the road, and restaurant dinners. By the time I got home, we were being inundated with appointments for people to come see our house. And do you think most of these appointments were in the mornings and early afternoons when my boys were at school? Of course not. No, basically I spent every late afternoon and evening lugging my kids in and out of the house, to the car, to the park, to whatever random place happened to have a Kids Eat Free night or was just flat out cheap and amenable to cranky kids, a frustrated and exhausted mommy, and no daddy because he was two states away working at his new job. So unfortunately we aren’t talking about nice, little organic health-food cafes. We’re talking about places I usually try to avoid. And then the ice cream. Always ice cream because oh my goodness, people, the stress, the lack of sleep after The Hubby and I spent two to three hours on the phone every night discussing budgets and school districts and potential to convert electric stoves to gas and commute times and grocery store locations and all of the other things to consider when you are moving to an area that you know nothing about. The carb and sugar and comfort food cravings were insatiable! Processed food worked its way into out diets this week way more than I care to admit to! Buuuut, after all of our hard work, a week of utter chaos, and SIX (count ’em, SIX) offers later, our house is under contract. Now we just have to find somewhere to live once we have to get out of this place. Oh gosh, I’m predicting a bit more stress eating! Now I know you’re used to seeing me transform cauliflower into other things like tots, wings, rice, even alfredo sauce. And every time I get cauli-freaky, I tell you that, yes, really, we do like our veggies looking like the actual veggie. I don’t have to shred it or puree it or otherwise hide it to get the kids and hubby to eat it. And you’re probably all like, “Sure, yeah, uh-huh, right.” But really, this Basic Roasted Cauliflower shows up on our table pretty much once a week. And then promptly disappears. All four of us go crazy for it. Well King Stuff usually wants some ketchup on it because that kid loves any and all things tomato-related. And there are probably a million “recipes” out there for how to roast cauliflower, if you can even call it a recipe. But I kinda just felt like during a Sunday Supper event where we are celebrating unprocessed foods, highlighting the ingredients and their natural flavors, I had to pay homage to my favorite cruciferous vegetable and let it shine on its own with just a little olive oil, salt and pepper. And not everyone know how to so it (here’s looking at you, mom and Sam). I like my cauliflower soft but crispy, if that makes sense. As a matter of fact, by the time we ate it, it was more browned and crispy than what you see here. I kinda undercooked it a bit because I knew I’d have to reheat it for dinnertime after the photo shoot. In order to get that perfect texture and roasty toasty flavor, I cook it on a baking sheet at a really high temperature, cover it with foil for the first half of the cooking time to allow it to cook through, and then uncover it make sure to toss it a couple of times so that all the sides have a chance to get all nice and brown. The flavor once you let it get really toasted is just unbelievable. I could seriously pop the stuff like candy. I might have eaten half the head myself! And if you have any leftovers, make my Buffalo Cauliflower Baked Eggs. OK, unless you make your own hot sauce, that’s not completely unprocessed, but it’s so good! Are you ready to take the challenge? Or really do you just want some awesome recipes that truly highlight the amazing flavors of their unprocessed ingredients? Make sure you check out all of this week’s #SundaySupper recipes at the bottom of this post. Are you trying to cut down on the processed food in your diet? Preheat oven to 450°F and coat a large metal baking sheet with a small amount og olive oil. Wash and dry cauliflower and cut into florets. The smaller you cut it, the more toasty and crispy the edges will get. Place the cauliflower in a pile on the baking sheet, drizzle with about a tablespoon of olive oil and sprinkle with salt and pepper. Toss to coat and spread into a single layer on the baking sheet. Cover tightly with aluminum foil and bake for 20 minutes. Remove from the over and using a metal spatula, gently flip the cauliflower. Return, uncovered to the oven, and roast for an additional 15-20 minutes, flipping again after about 10 minutes. Oh my goodness. You’ve been through a lot, that’s for sure. Congratulations on the sale of you home and good luck finding your new one! 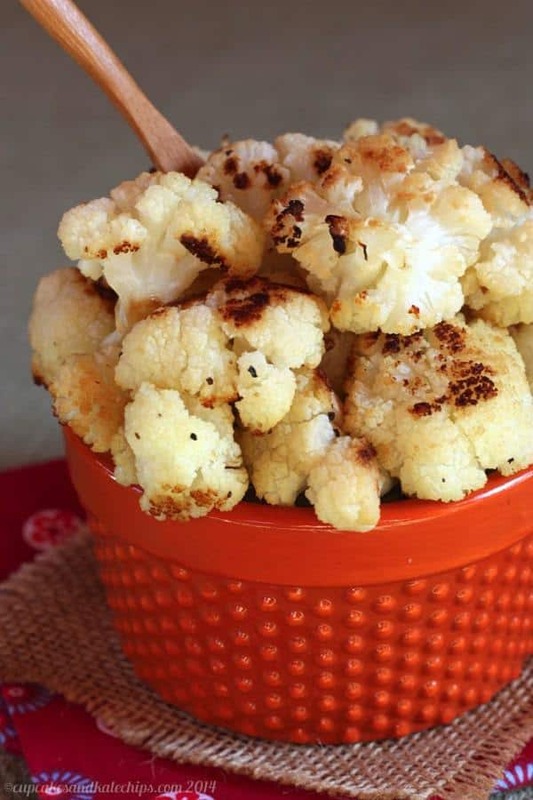 Your roasted cauliflower looks amazing. Love the color you’ve achieved on it. Brianne, I am such a sucker for roasted cauliflower. So glad you thought of this, because I have a head of cauliflower I need to use up! Thanks for the reminder and great share! Sometimes we forget about the most basic things that are so delicious. 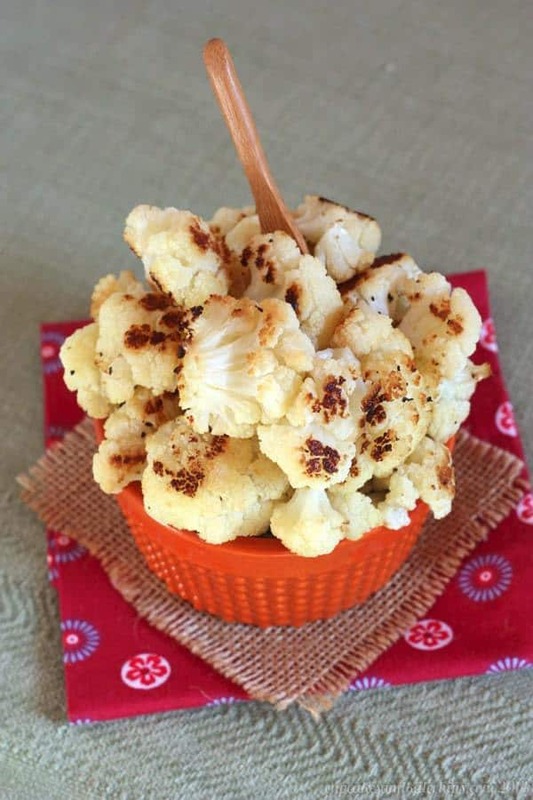 Roasted cauliflower is a fave of mine. This looks amazing!! Found your recipe at Time to Sparkle. I am one of the hostesses of Tickle My Tastebuds and would love you to stop by and link up this recipe if you have not yet already. I love all your cauliflower creations! That’s exactly how I like my cauliflower too: soft and crispy. It sounds counterintuitive, but I know exactly what you mean. It’s the best! And many many congrats to you and your husband for getting your house under contract. One step done, now onto finding a new home. I’m sure it will all fall into place! When we bought our first home this summer, I ate so badly for a month just trying to juggle it all, so I feel ya! I am glad you received a good offer and sold your home! In other news, you can never go wrong with a basic dish like this! I love cauli in any form. 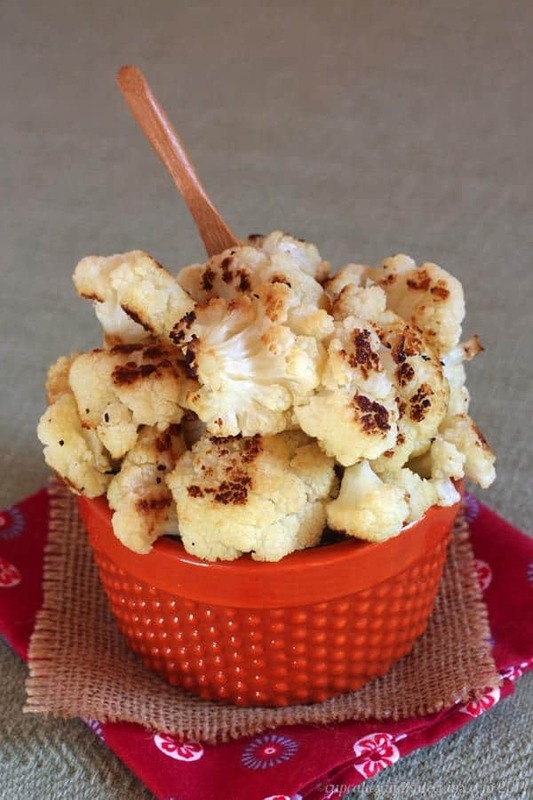 That is my favorite way to eat and cook cauliflower – it gives it such a rich flavor! In fact we just had it last night. Good luck on finding a new home, moving, not stress eating, and finding time to cook! Oof, that all sounds so stressful. But glad to hear you got the house-selling part (mostly) done! Onto the next step! I do hate when I have to eat out several times in a row just because there is no time to be home and prepare something to eat, and I love recipes like this that are so simple and quick and 100% healthy. So even if you do have to grab Mcdonalds for lunch, at least you can still have a healthy snack in between all your errands. I’ve never tried roasted cauliflower, only roasted broccoli. I bet it would be delicious! I love cauliflower. Don’t worry about feeding your kids the other stuff. After all, it’s only temporary and you have a good excuse. Congratulations on the sale of your home and good luck with the move. I just did about a month ago so I can empathize. 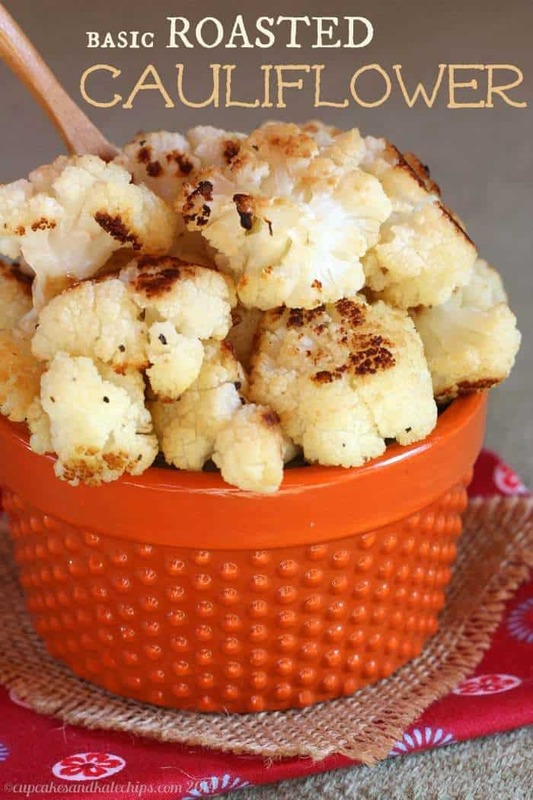 We LOVE roasted cauliflower. Thanks for sharing this recipe. I do love all your crazy cauliflower recipes, but a simple one like this is always appreciated! I’ve always had a hard time with cauliflower. I think it wasn’t always around during childhood so I never really considered it. 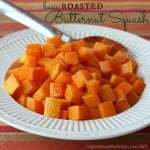 But roasted veggies are always delish so I cannot wait to try this! I never had it as a kid. I actually only tried it a few years ago, but am now addicted! 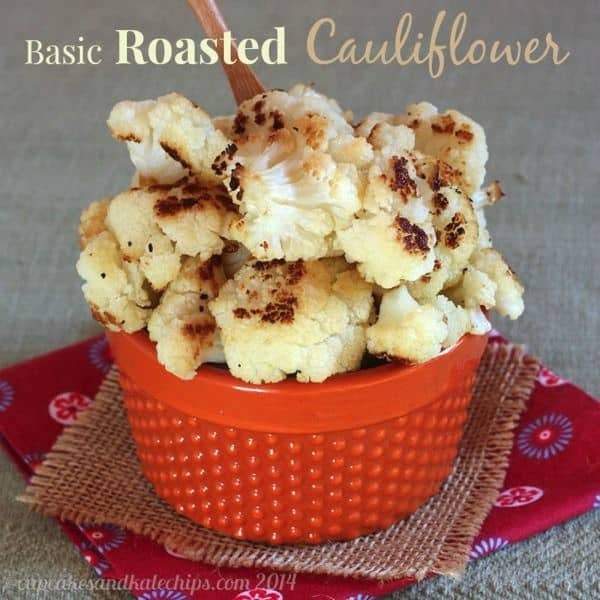 Roasted cauliflower is the best! I love it with a bit of red pepper flake or curry powder. I like mine borderline burnt! I know what you mean about moving – there are so many things to consider. Hopefully things will work out for you perfectly! You remind me I meant to put in the notes about some other seasonings I like, but I totally forgot! I like smoked paprika or a little parmesan. 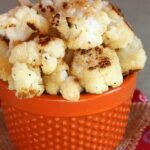 Roasting cauliflower is how I finally got the hubby to eat this vegetable! I usually eat a half a head, too…it’s SO good. Glad the house is sold…good luck on the move!!! Thanks Liz! It’s amazing how much flavor roasting brings out. Oh Brianne! Congrats on the contract – I hope the rest of the process goes as beautifully as this recipe looks! I completely understand the stress of moving – I’ve done it 18 times in my adult life…just without the house-selling part. Thanks Conni! I give you so much credit for being so adaptable to new locations. I’m freaking out! Congrats on selling your house and good luck with moving. And I could also eat the whole batch of roasted cauliflower.